Synopsis The story continues with a huge fight between Mandrake the Magician, his assistant Lothar, and the Wasp's evil henchmen as the Wasp attempts to gain control of a large oil rig. Professor Houston is building another machine built of rare elements that will be invulnerable to the Wasp's power. Mandrake has located one of the rare key elements needed to build the machine, but the Wasp's men are already at the location and a battle ensues. 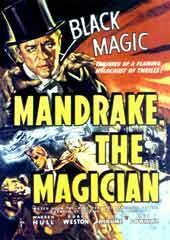 Mandrake hangs perilously over a chasm after the cable car he was riding in collapses, falling hundreds of feet below. 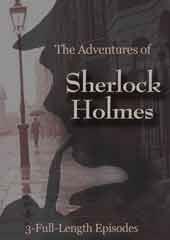 Will Mandrake be able to escape the cable car with his life? Will the Wasp's henchmen make off with the rare element Professor Houston needs?